An abnormal atmospheric phenomenon was visible throughout the relevantly low latitude of central Russia, including Moscow and St. Petersburg on Tuesday. 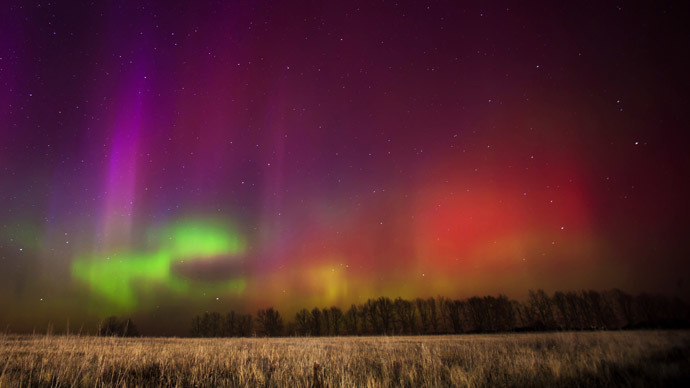 A powerful geomagnetic storm promises to continue for a second day, also including an aurora. Witnesses and amateur astronomers have been busily posting photos and videos of this atmospheric event - so rarely seen in Central Russia - on blogs and social media. As a rule, the aurora borealis is visible in regions close or above the Polar Circle, for example in Russia’s Arctic city of Murmansk. But sometimes extremely powerful solar flares cause this atmospheric phenomenon to be visible in much lower altitudes, as is the case now. 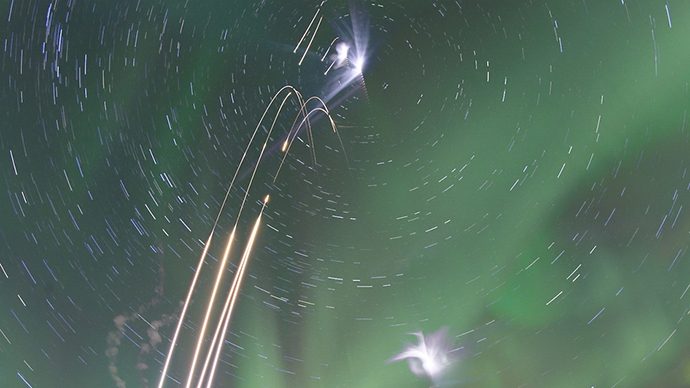 Auroras on the North and South Poles of our planet are caused by solar winds, when charged particles such as electrons and protons enter and exit the gases of Earth’s atmosphere, thus causing ionization, which manifests in optical emissions. Russia’s Institute of Applied Geophysics reported that geomagnetic field disturbance began at about 13:00 GMT on Tuesday. According to the Laboratory of X-ray Astronomy of the Sun, geomagnetic field variations were surging throughout the day. Russia's weather forecasting service says the geomagnetic field disturbance is set to continue for two more days. “The areas with highest probability of [seeing] the aurora borealis are the north of Eurasia, including Scandinavia and the northern part of the Baltic Sea,” the forecasters said. 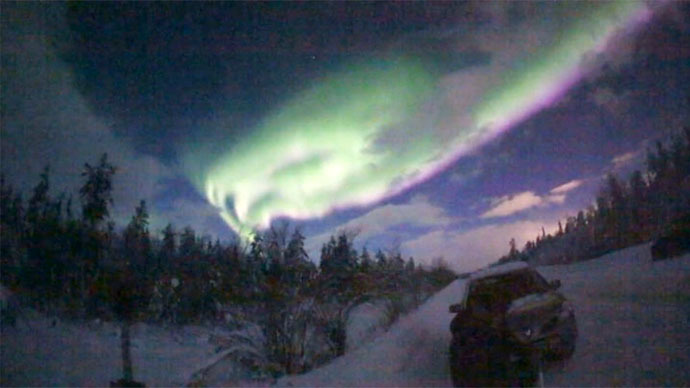 Residents of Moscow and St. Petersburg are likely to see the Northern Lights for a second night. The previous night unusual polar lighting was easily visible in many cities across the Central Russia, including Arkhangelsk, Bryansk, Ivanovo, Kazan, Nizhny Novgorod, Petrozavodsk, Tula, Vologda and Ekaterinburg, and in neighboring Belarus.